Partly cloudy. Low 44F. Winds SSW at 10 to 15 mph.. Brake Tyme Band kicks off First Friday After Five in Littleton despite the rain. The crowd is treated to a mix of beach, soul and rock & roll music. 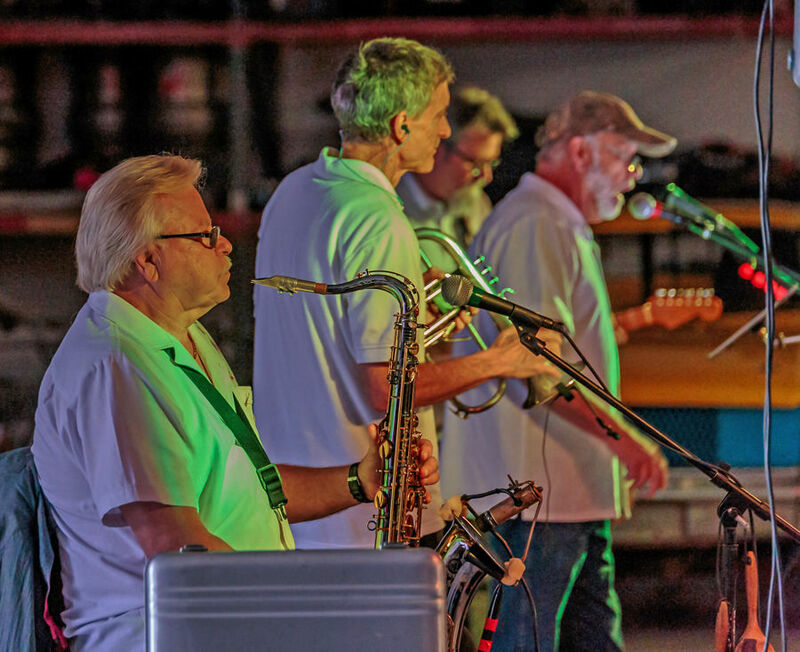 Littleton’s First Friday After five kicked off the season with the Brake Tyme Band out of Henderson, N.C. on Friday. 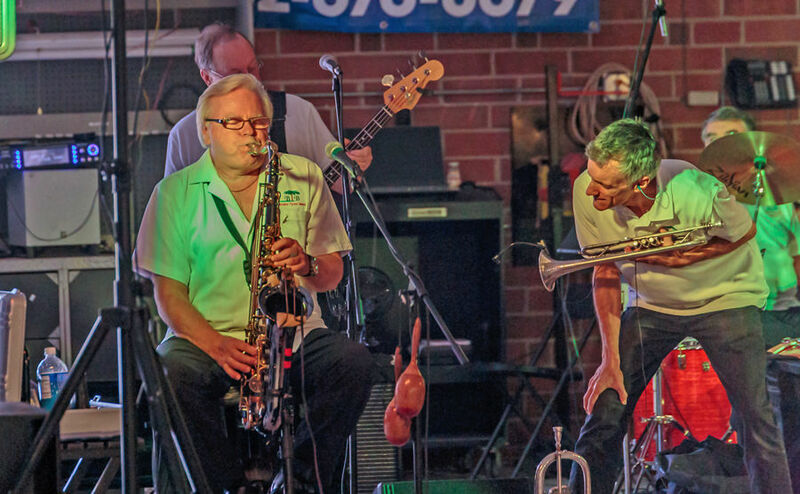 The stage in downtown Littleton, built by the Greater Littleton Development Partnership, hosts the concert series on the first Friday of the month from now until October. The season opener was moved indoors to Buddy Isles Automotive due to rain, but it did not dampen the spirits of those in attendance. The Greater Littleton Development Partnership sold hot dogs, chips, and a drink, with the proceeds from sales and any donations to be used to help sponsor future bands performing at First Friday events. The next First Friday After Five will be Friday, May 3, and will feature the Fabulous Continentals from Littleton.